After back-to-back matches on Friday and Saturday, the Ohio State women’s volleyball team ended the weekend with a win against Rutgers and a loss to Penn State. On Friday the Buckeyes dug their way out of a 2-1 deficit and beat Rutgers in five sets (18-25, 25-19, 23-25, 25-18, 15-9), and the Scarlet Knights dropped to 6-12 and 0-5 within the conference. The Buckeyes had strong offense against the Scarlet Knights. Sophomore middle blocker Lauren Witte and freshman outside hitter Adria Powell both struck 17 kills, which was a career high for Powell. Freshman opposite hitter Vanja Bukilic had 13. Junior outside hitter Ana Beatriz Franklin led the team with 11 kills the next night against Penn State. Rutgers boasted its defense with 13 total team blocks compared to Ohio State with seven. Witte and Rutgers freshman middle blocker Merle Weidt each led their respective teams with 19 points. Sophomore defensive specialist Hannah Gruensfelder tallied a match-best 14 digs, followed by Franklin with 13. Freshman defensive specialist Camryn Moeller dug a career-high nine balls. The Buckeyes fell to No. 9 Penn State on Saturday at University Park in three straight sets (25-13, 25-22, 25-22), following their win against the Nittany Lions at home two weeks ago. Following the match, the Buckeyes stand at 11-7 and 2-4 Big Ten, and the Nittany Lions at 13-3 and 4-2. Redshirt sophomore middle blocker Jordan Fry succeeded in nine of 15 error-free swings for a career-high .600 hitting percentage. Ohio State doubled Penn State in service errors 10-5. Penn State freshman defensive specialist Jenna Hampton put out four service aces, more than the Buckeyes had altogether. Redshirt senior outside hitter Nia Reed led both teams in kills with 15. 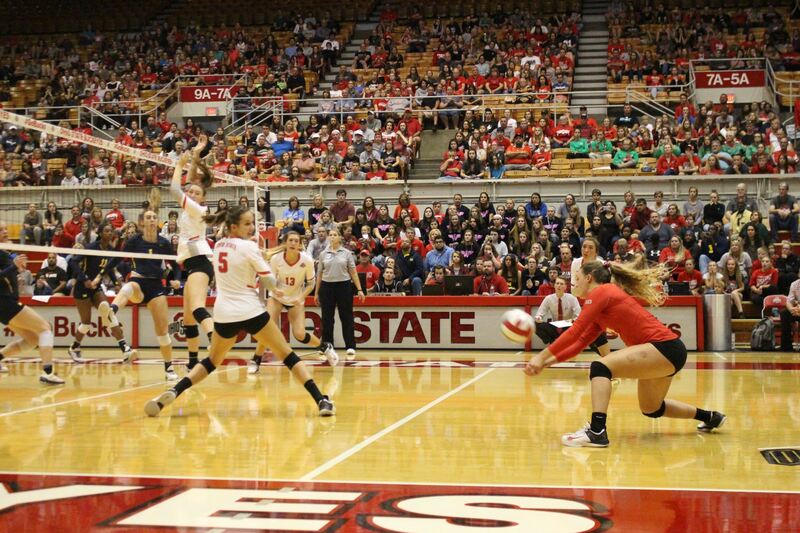 The Buckeyes will return home to St. John Arena to host Michigan on Oct. 12 and Michigan State on Oct. 14. It is somewhat fantastic, and https://awriter.org/best-essay-writing-service-reddit/ yet check out the advice at this treat.